So Kamal is considered most old and famous textile company in Pakistan. They started their journey back in 1950 in Faisalabad. 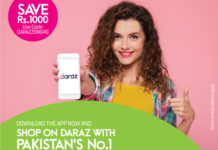 Now they are able to spread their store everywhere in Pakistan. They are considered as the first Pakistani textile company who provide in-house services for weaving, sewing, spinning, processing, and printing. So Kamal aimed to provide the quality and beautiful clothes that remain long lasting without losing the actual quality and colors. In the event of the Anniversary of the So Kamal, they announced to provide 30% off on all the items until 8th April. 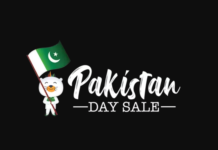 They provide a sale on the featuring lawn of 2018, which includes almost every cloths starting from dresses to wrap-able clothes. You cannot get this great sale opportunity at their store, but you can also get this amazing offers by ordering online on their store. The summer lawn two piece, three piece, and four-piece lawn suits are available at 30% flat discount. These dresses are available both in stitched and unstitched. They include all the variables included printed, premium and embroidered cloths. The printed Grip Silk range dresses are also available at the flat sale which includes Shirt piece, Dupatta, and Trouser. Summer best Top for ladies brings new life to the summer wearable by a great discount on every item. The tops (Shirts) include almost all the variety including; Printed Shirts, Embroider Shirts and Fusion Tops. Wrap able including Dupattas and scarfs with beautiful colors and variety are presented on 30 flat sales. Not only the arrears, also the Home decors including bedsheets and duvet set.